Making your WordPress website perform up to 50 times faster and become more secure is now possible with WordFence. 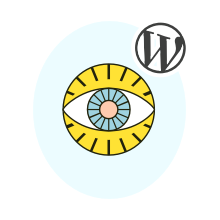 WordFence is a new, completely free plugin for WordPress users. You can add it to your WordPress site easily and at no cost. There are Premium options available, but they are not necessary if you merely want to take advantage of the base plugin, which does a great job on its own. It can scan your source code and look for ways to improve it. Doing this will secure your site and then quicken it. You will see an almost immediate difference in the site’s performance when using this plugin. These are only a handful of benefits with WordFence. There are a lot more not listed, too. These benefits all focus on the functionality, speed, and safety of your site. They are there to work behind the scenes, helping your site to stay up with minimal work on your end. While you can actively use certain features of the plugin, such as the ability to block users or limit their access to your site if you feel it is necessary, most will work without you needing to do much. Any user of WordPress sites should use this plugin. It can help your site to run efficiently. It will remove issues that bog down the site, show you possible concerns, increase security, and speed up the site as a whole. Since it offers numerous advantages that center on safety and usability, it is a trusted option. WordFence is completely free, too, so you do not have to worry about cost bringing it down.